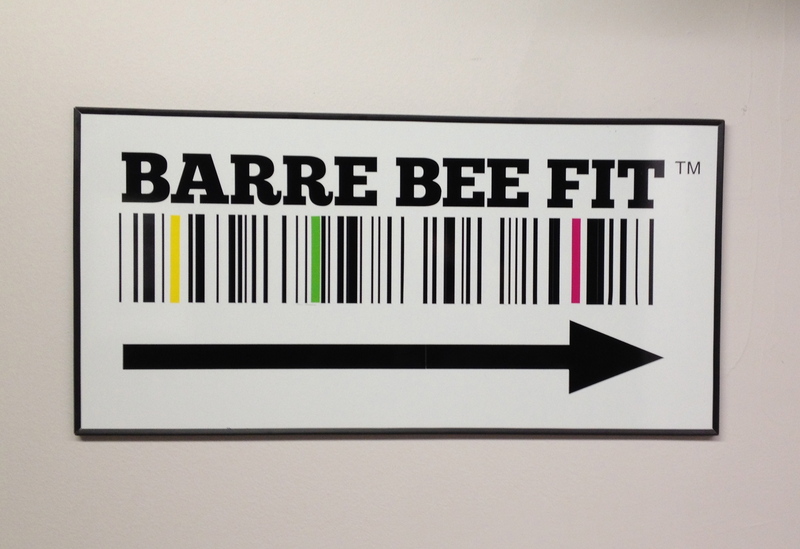 When Barre Bee Fit first came to town my friends were raving how this light weight, high repetition class made them sore for weeks! They talked about how shocked they were that such light weights could make them so sore. And the ballet barre? Major bum burner! However, I must admit I was fairly disappointed. The class fit the description on a literal sense but was far less challenging than I had planned for. The instructor began class with enthusiasm but forgot to ask if anyone was new. Since I was new, I was hoping for a little advice about the right amount of weight to use and a short intro of what to expect for the hour. Nevertheless, we dove right into a five-minute block of planks and push-ups followed by a stretch of equal length. I was surprised that we were stretching for so long when we hadn’t done very many exercises. We then got up and used the resistance band for triceps and a few shoulder exercises. I definitely liked the creative way the instructor had us do triceps extensions. But then we were back to stretching. The class continued with a few light cardio intervals and one barre exercise. I had really been looking forward to that bum burner and wanted more of the barre work!! Based off this one experience, I would recommend this class to beginners or to anyone trying to slowly get back into exercise. *Please consider that I regulary work out five to six days a week.